This post is sponsored by Primo Water. Find more on our sponsored post policy here. If you’re like millions of others, right now you’re thinking about — or even working towards — a healthier New Year. And we love that! All times are a good time to set healthy goals, but there’s just something special about the fresh start of a New Year. You might have resolutions to lose weight, eat healthier, tackle a new race, hit the gym regularly — all awesome. But one resolution that you might not have thought of — one that can actually help you do ALL those things a little bit better, pretty easily? And not just any water, high-quality water. Here. Is. Why. Important: be sure to read all the way to the end because we’ve got an amazing giveaway just for you! 1. Water is really, really important to your overall health. Here’s a fact that might just blow your mind: the average human is composed of between 55 percent and 60 percent water. In fact, your brain and heart are almost three-quarters water — and your lungs are 83 percent water and your bones are 31 percent water. Water also does amazing things in your body like nourish your spinal cord and your brain. 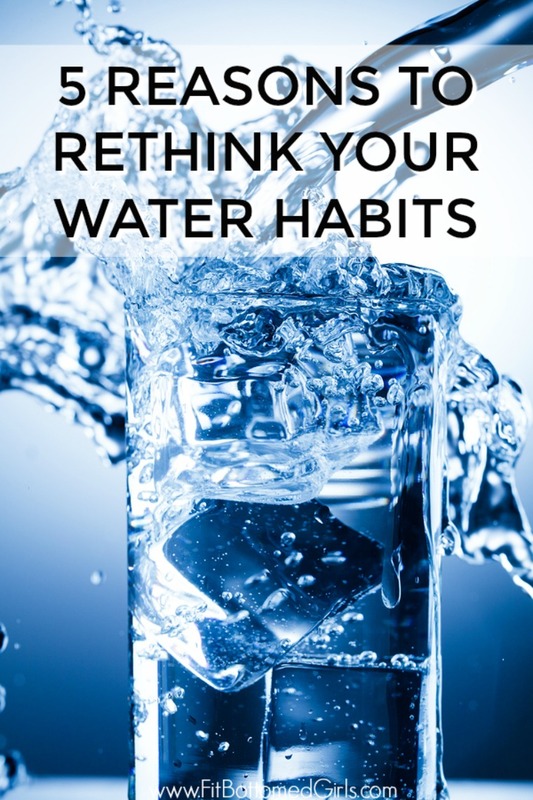 In fact, if you skimp on the H2O, your brain will temporarily shrink causing it have to work harder to accomplish the same tasks than a hydrated brain. And, obviously, since water makes up so much of, well, YOU, it makes sense to only put good, filtered water in there, right? Right. 2. If you want a better workout, water is key before, during and after. Beyond helping your brain, water can also help you to better power through your workouts. You probably already know that water can help regulate your body’s temperature and help you by sweating, but did you also know that water helps to cushion and lubricate your joints and boosts energy and mood while helping regulate blood pressure? True. Story. 3. Water may help with weight loss. If you’re looking to drop some pounds in the New Year, high-quality water is a must. We all know that water is healthier than soda, but there may be more to it than just making a healthier substitution. Researchers have found that people who are obese and have a higher body mass index are more likely to be dehydrated than those at a healthy weight. We also know that it’s easy to confuse thirst for hunger, which makes it more likely that you overeat. So, drink up that H2O! 4. The quality — and accessibility — of your water matters. Each day we lose between two to three liters of water through sweat, urine and waste — so we all need to drink a lot of water a day. But where is it coming from for most of us? And how safe is it? More than 44 million Americans rely on wells for their water needs, and many of these people are being exposed to arsenic in their water supply. A new study from the U.S. Geological Survey and the U.S. Centers for Disease Control and Prevention found that two million people may be exposed to naturally-occurring arsenic in their wells. And for a lot of small towns this is just too costly to treat. Plus, if you’re not drinking well water, do you really know what’s in your tap water? 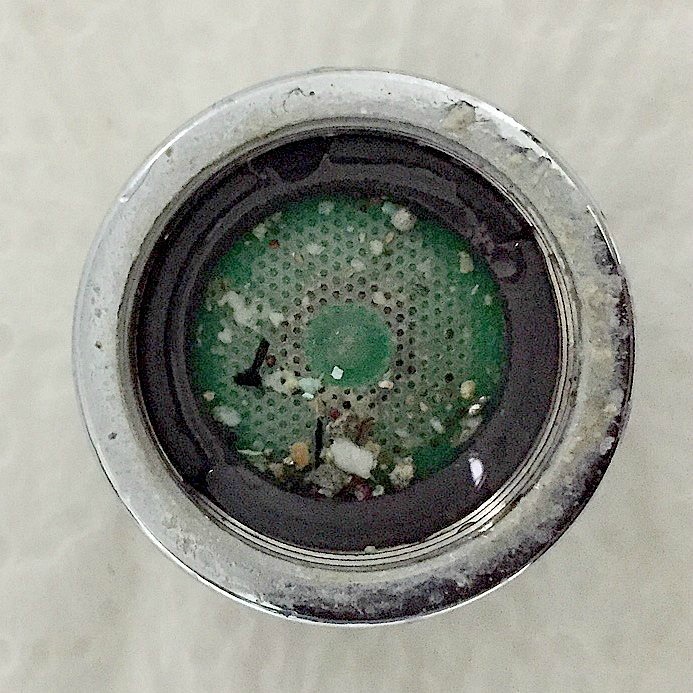 Here’s an image we got from a friend of what was filtered out of her tap water and, dude, GROSS. Who wants to drink that? NOT US. 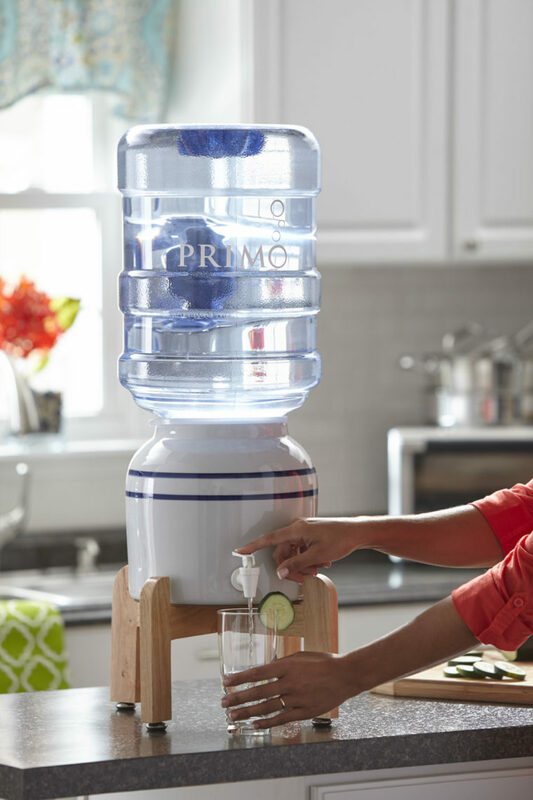 Which leads us to another awesome part about Primo Water: It goes through a 9-step purification process for its pre-filled exchange water and a four-step purification process for its self-service refill water. This not only ensures that your water is free of contaminants, but it also makes it taste DELICIOUS. Oh, and compared to those other filters … the ones that takes forever to drip through? They filter a sliver of what Primo Water does — and, um, take forever. 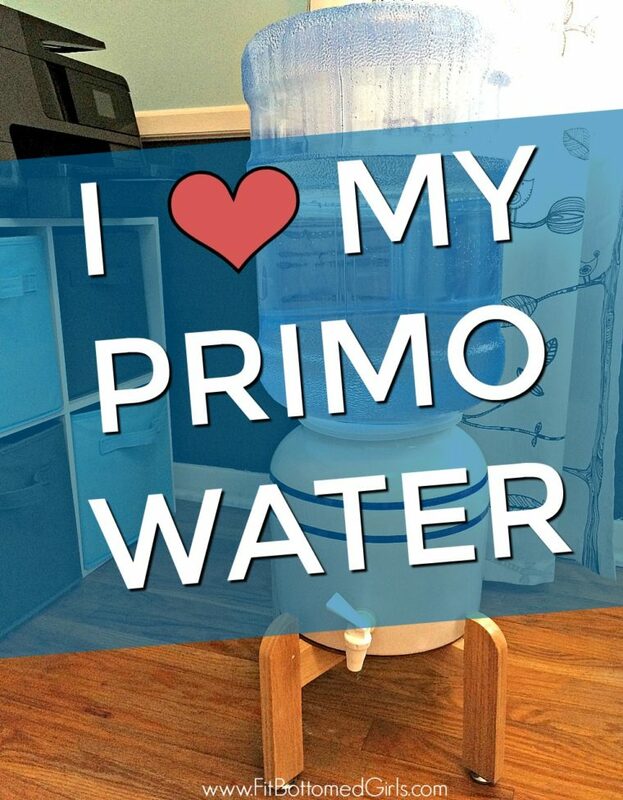 And because Primo makes it convenient to have good water all the time, you and your family naturally drink more. Score! 5. You can make a difference. Another thing we love about drinking Primo Water is that it’s low waste AND convenient. Because, sure, those single-serving bottles are easy to grab, but, man, all that plastic is doing a number on our planet. Not to mention that those plastic water bottles don’t keep water cold either. It feels really good to be able to have a filtered water source that’s easy to use (even hot or cold if you go with a dispenser like this!) and isn’t putting more waste into the world. Really, the best system is bulk water cooled at the touch of a button and kept cool in an insulated water bottle or, at the least, a reusable water bottle or glass. That’s how we do it! By now we’ve probably convinced you that filtered water is awesome. And essential for overall health. And we want to make it as easy as possible for you and your fam to drink more good water. Which is why we recommend getting a Primo Water dispenser for your home. 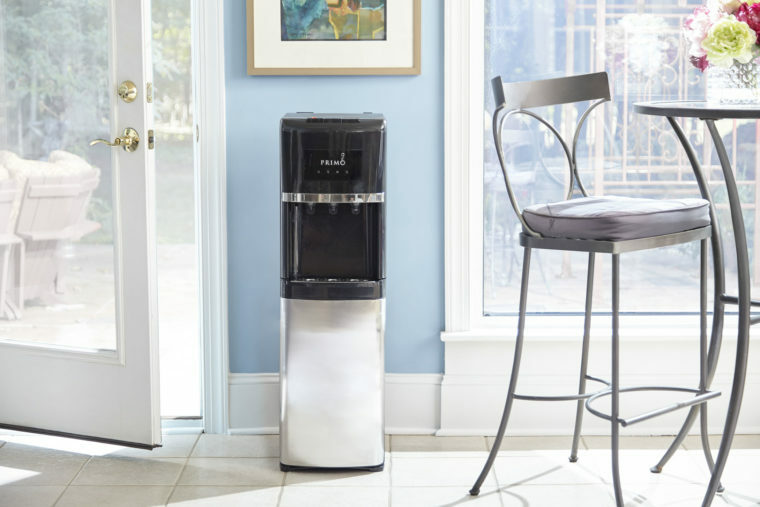 They come in a variety of types (see them all here — I have the Crock and adore it) and make it so, so, SO, easy to have great tasting filtered water at the ready. So that you stay hydrated and healthy all day, every day. Get excited because this giveaway is HUGE! We’re giving away FIVE Primo water dispensers, plus each winner will receive two coupons for free five-gallon containers of delicious tasting filtered Primo Water. Our first four winners will receive the Crock you see above and one grand prize winner will win the water dispenser of their choice … no restrictions! We happen to like the one below QUITE a bit. To enter the giveaway click here or enter directly below! I knew drinking plenty of water is important, but I didn’t know all of these interesting facts. Thanks for the information and the chance to win! I really love my cup!! I can already tell it’s helping me drink more!! Package came as expected with no delays! It also came in the box displayed in the picture. Hi Jenn, thanks for sharing such a helpful post. You are damn right water is very essential for our body because half of our body is made from water and 75% of the brain is made from water. The Primo water despenser really looks cool and compact. I really liked it. Thank for sharing this article. Very interesting. 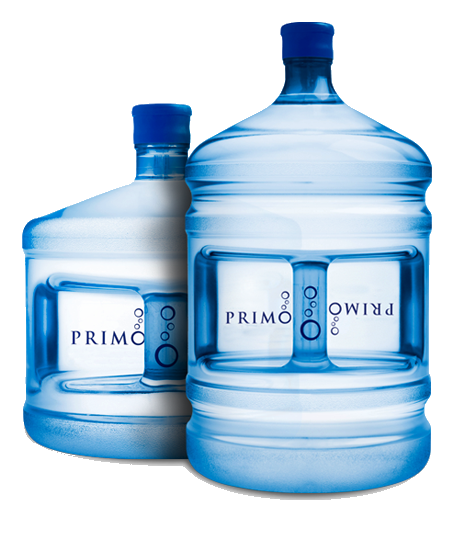 I have read good article about Primo water.